Bookseller Charles Mysak has kept his car parked in the same parking space on the Upper West Side for 11 years. 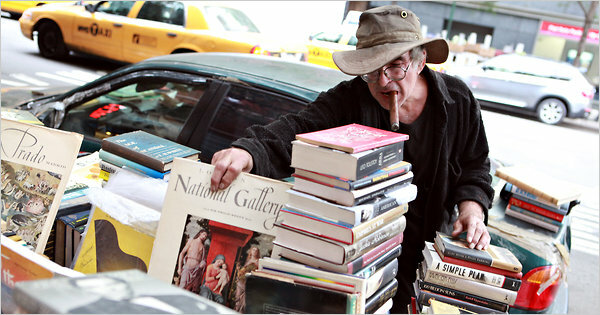 Mysak sells books from the car, paying $36 in quarters each day for the space. NYU student Alden Peters has created a short documentary on Mysak.